Surrounded by 70 million olive trees. 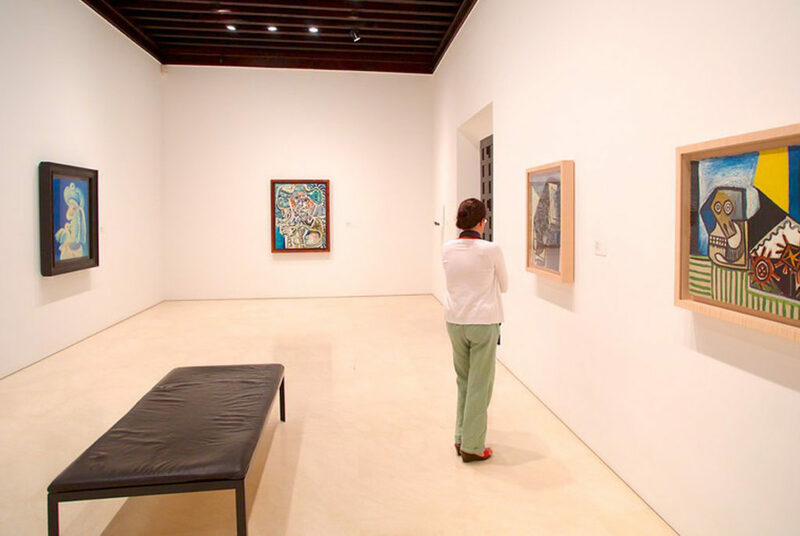 Perhaps those attending the second CONGRESS hold by the OLEOCANTHAL INTERNATIONAL SOCIETY in Ubeda-Baeza, Jaén did not knows that the beginning of the meeting was a visit to the Picasso Museum in the city of Malaga, Spain, the city were was born the famous painter. Three hundred of the best works of Picasso, waiting for the day of arrival as a welcome to the scientists who participated in this important meeting on Extra Virgin Olive Oil. 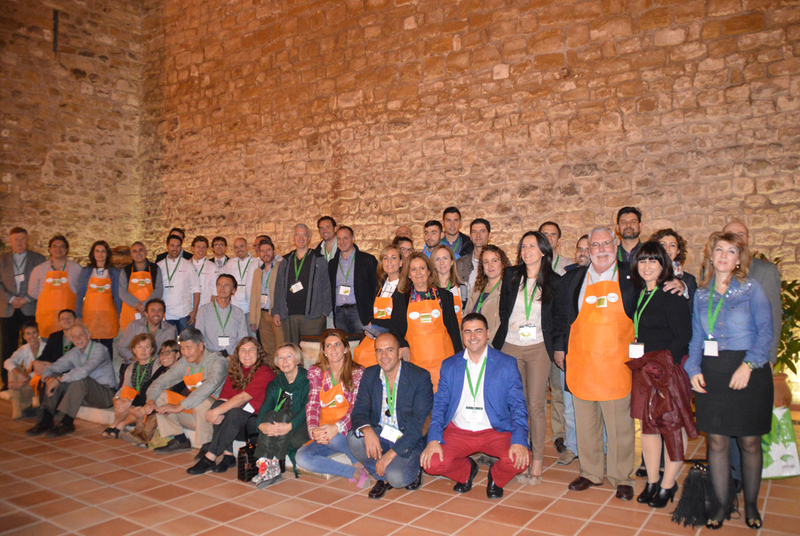 The day after arrival, the highway from Malaga to Jaen, Ubeda and Baeza was a show for the participants. More than 250 km of olive trees, an impressive «Mar de Olivos» or «Ocean of Health,» if we talk about the beneficial healthy properties of these ancient trees. 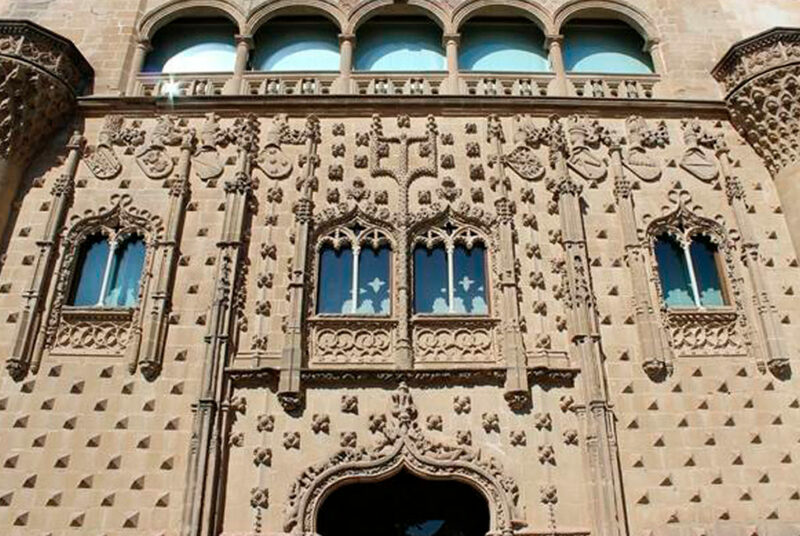 Interpretation Centre”, Javier Gamez, which in turn is Vice Major of the Ubeda Town Hall. 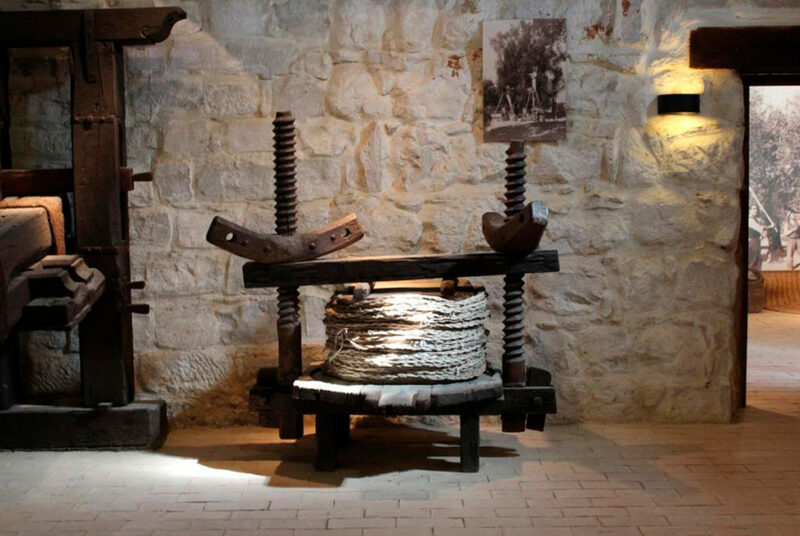 The Center is an example of good collaboration between a group of EVOO Producers and the Town Hall of Ubeda under the direction of Sole Roman, designed to house a building restored with Programs Information and education about EVOO and Olive Trees, with a Shop for Products, Tasting Room, Museum of typical tools and utensils of a Mill and finally the kitchen where they hold special programs pairings where learn to cook healthily based on the Mediterranean Diet. 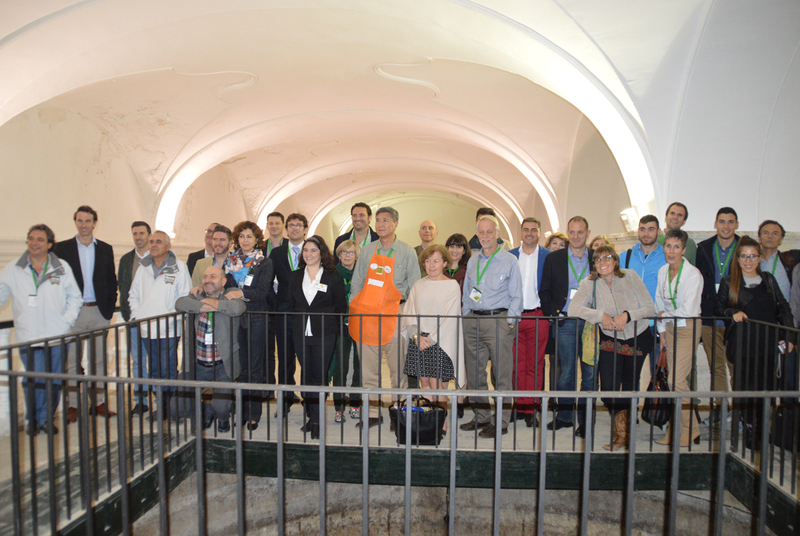 After the opening ceremony and cocktail offered by the City, the first meeting between producers and scientists where the first encounter where the Producers could explain to the Scientists during almost one hour about the characteristics of their with explanation of harvest time, and extraction in the mill, storage, bottling and labeling system. THE ARISTOLEO TEST KIT. 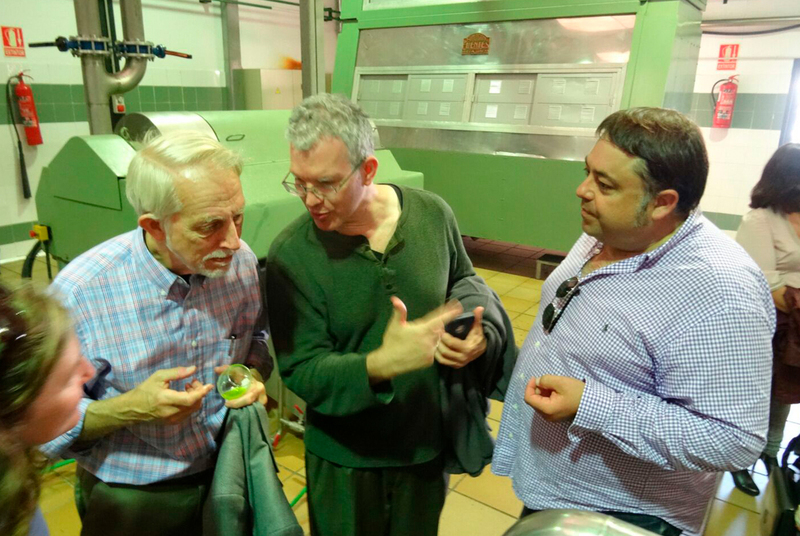 While the meeting between Producers and Scientists, Athan Gadanidis(ARTEMIS ALLIANCE) and Julia Marquez of the SAO, measurement carried out by this colorimetric method to test de amount of Oleocanthal/Oleaceine in the EVOO was held in Congress. Very interesting results, some reached 900 mg / kg of Oleocanthal / Oleaceine and others did not reach the 400 mg / kg. And in parallel, the action started, down in the kitchen of the Center. GASTROLIVE LAB. Live cooking show with THREE CHEFS. Lead by Dani Garcia Peinado, Raul Gonzalez and Jacob Pedersen. 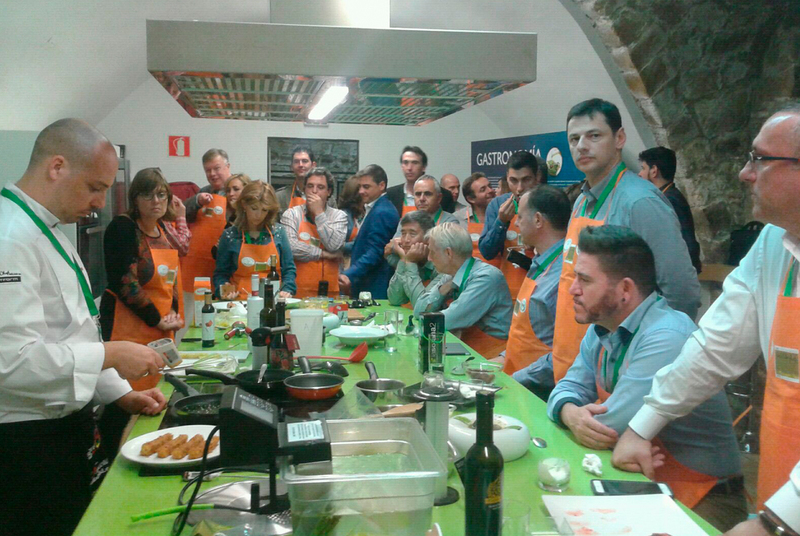 They took it upon themselves to teach Participants (Scientists and Producers) how to cook with EVOO rich in Oleocanthal. Dani was explaining how to work with the temperature of the various EVOO and changes that occur in the food. This is one of the main projects of the Andalusian Society of Oleocanthal. Participants could see and participate in how be baked, fried or in soups and salads with rich Oleocanthal EVOO. Heritage Site.. 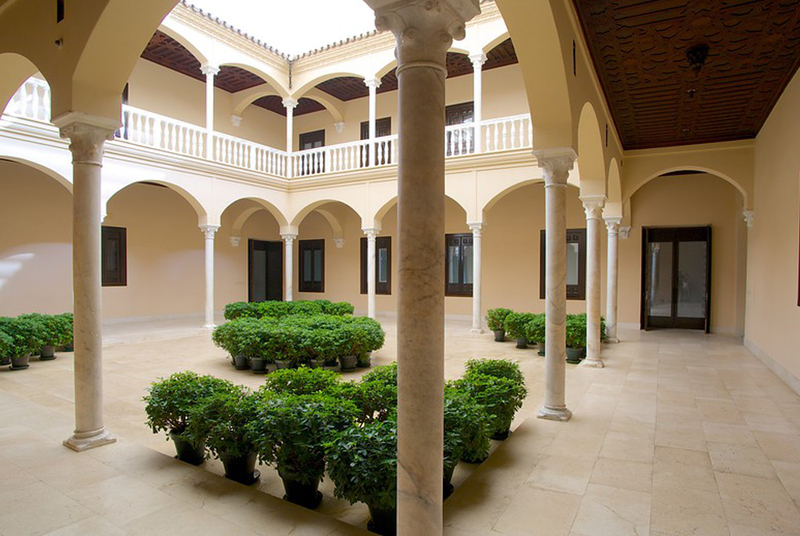 This Renaissance-style palace of the fifteenth century is currently spent by the Government of Andalusia to host postgraduate courses aimed most particularly to Mediterranean countries. 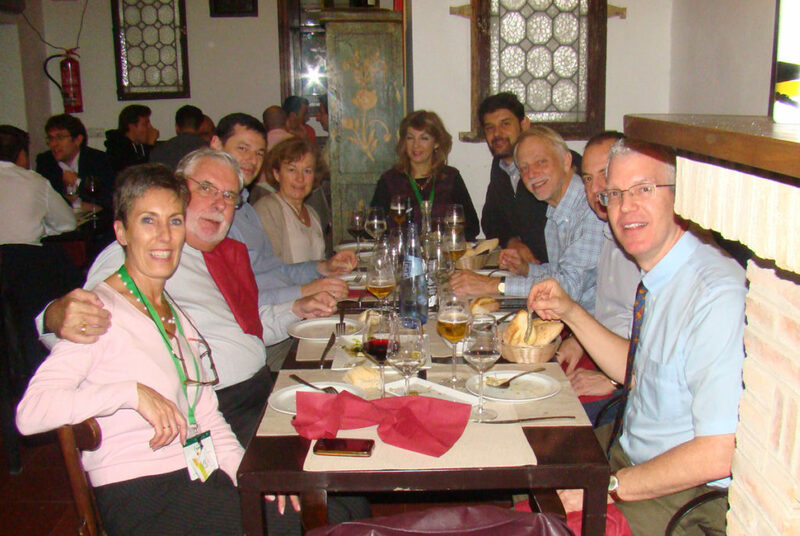 Dr. Roberta Holt, PhD in the Department of Nutrition at Davis University in California, presented at the Congress of the Oleocanthal INTERNATIONAL SOCIETY, the results of this first human clinical study in which two groups of healthy people taking a EVOO high in Oleocanthal and without it, were tested. The results showed that those who takes EVOO rich in Oleocanthal intake has an inhibition of platelet reactivity in healthy adults, but was not present in the others with no EVOO rich in Oleocanthal intake. These preliminary results show that Oleocanthal, an NSAID (non steroidal anti-inflammatory drug) present in some EVOO varietals, has the same effects as aspirin as antiplatelet agent, but so natural without the side effects of the drug. This medication Aspirin or Adiro for children, is used by Cardiovascular specialists to avoid coagulation problems in the blood, to prevent myocardial infarcts or neurological strokes. The research was done in conjunction with the United States Department of Agriculture and the University of Californie Davis work it was funded by the GAEA Company of Greece (Producer EVOO) and Captain Vasilis Foundation. 1. 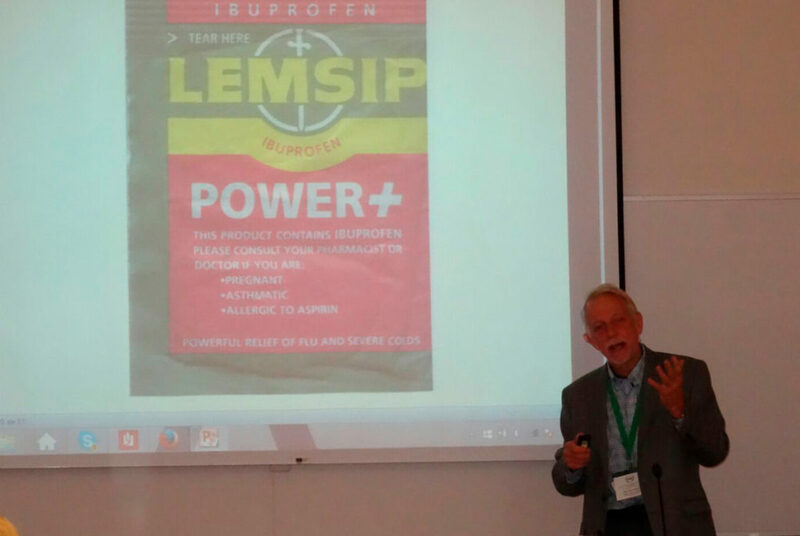 Anti inflammatory with «in vitro» effects similar to Ibuprofen. The Oleocanthal INTERNATIONAL SOCIETY meets in Ubeda and Baeza (Jaen, Spain) emphasizing Health and Food related to Extra Virgin Olive Oil. Drs. Gary Beauchamp, (Monell Center, Philadelphia) Oleocanthal discoverer, Paul Breslin (Rutgers University, New York) who discovers that the Oleocanthal «kill cancer cells within 30 minutes without affecting healthy cells around,» Dr. Li Li Ji, director of the Laboratory where the Mediterranean Diet (Minneapolis, USA) is described. Dr.Prokopios Magiatis and Eleni Melliou of the University of Athens and other EVOO specialists as Dr. Castro Luque (Córdoba), Maria Covas (Barcelona), Feliciano Priego, Córdoba or nutritionist Dr. Mary Flynn EVOO from Brown University in Rhode Island USA, among other participants in the Panel on Health issues. Gary Beauchamp reviewed since its discovery until today, everything I lived and researched the matter on its molecule. Paul Breslin not only revised its February 2015 article, but outlined the research to be followed by his team after the surprising results of Oleocanthal in cancer cells. know the areas where the AOVE come with as much Oleocanthal. Also the introduction of Nuclear Magnetic Resonance has demonstrated reliability and versatility especially when handling samples with results five times using other techniques such as HPLC. Dr.Li Li Ji, from the Laboratory of Physiology, Health and Exercise Science in Minneapolis, USA, where he works in the Avantramida an antioxidant shell exposed Avena whose molecule is very similar to that of Oleocanthal. 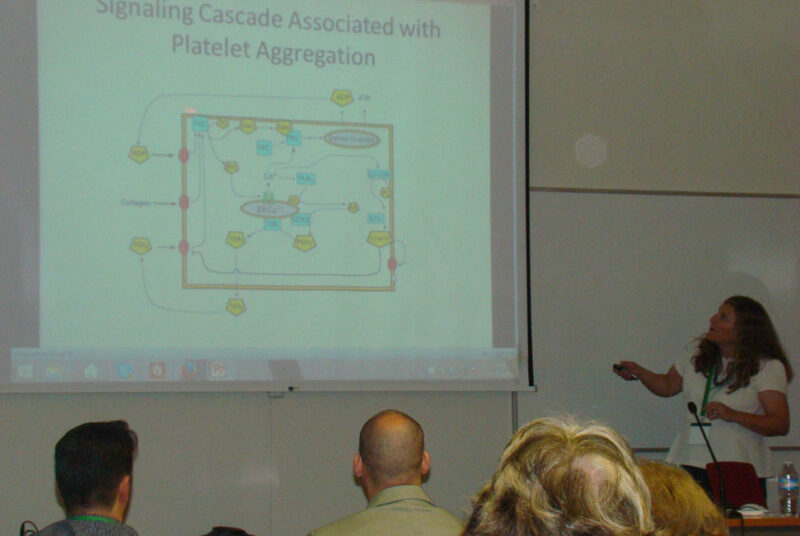 Currently she holds Bioavailability studies in mice. Rafael Alcala and Julia Marquez, Carcabuey Health Ventures, in Cordoba, presented the OLEOCANTHOL a new topical product on the market, for dermatologists and therapists, in different forms, gel, cream and oil, which are based Virgin Olive Oil Extra Rich in Oleocanthal and extract it added, providing an important anti- inflammatory power. 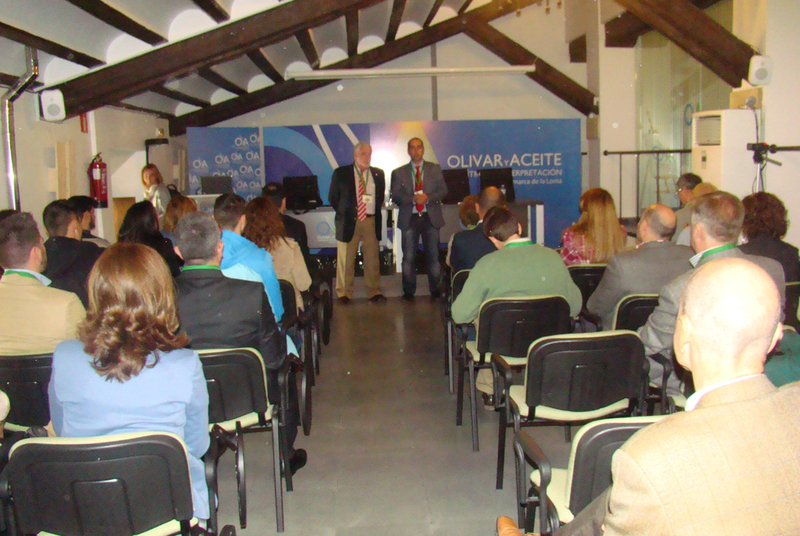 Dr.Feliciano Priego, University of Cordoba, present or a new method for detecting Oleocanthal / Oleaceína developed in his laboratory. Gadanidis Athan (ARTEMIS ALLIANCE) explained in detail the events which in his opinion does not justify the non-inclusion in mandatory labeling of levels Oleocanthal according the EU. And that was answered by Dr. Maria Covas (NUPROAS) who explained that the situation does not include the contents of Oleocanthal / Oleaceína was due more than anything to the Producers themselves do not submit comments or claims to the EU. Dr. José Amérigo (SAO), presented the vision from the medical point of view on the Oleocanthal as an NSAID, non steroidal anti- inflammatory, and the need to expand the concept of equal to EVOO functional food and thus should be disseminated in the medical field, using the ability of doctors as first class prescribers for families to cook at home and use the EVOO rich in Oleocanthal by the preventive effect of NSAIDs. He also stressed that the Chefs must cook, fry, grill and teach cooking with EVOO, which none does. 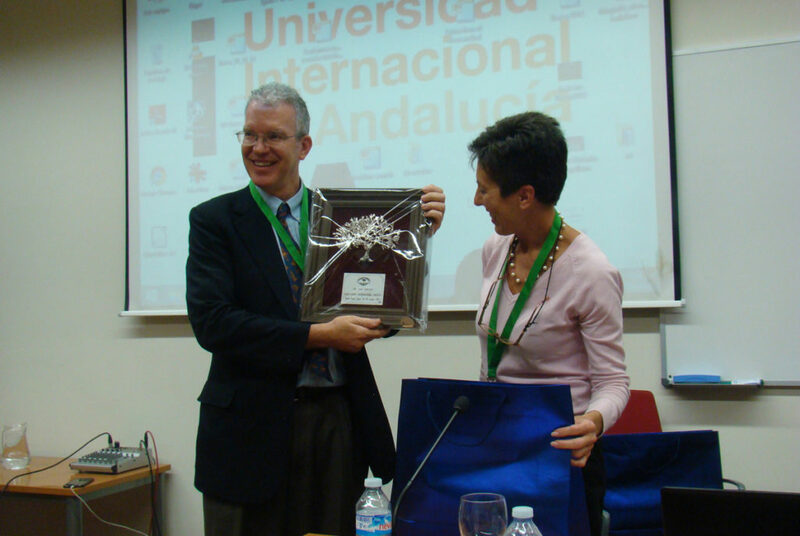 The Andalusian Society of Oleocanthal, under the scientific work developed over the years by some of the participants wanted to thank them with a special collection of souvenirs made of silver by jeweler Juan Mari Ferrandiz, Ubeda. the international publication of the discovery of Oleocanthal. Prof.Beauchamp, Breslin, Magiatis, Li Li Ji, Feliciano Priego and Athan Gadanidis, Xenophon Kappas, Aris KEFALOGIANNIS and Prof.Lola Luque and Eleni Melliou, Maria Covas, Roberta Holt and Mary Flynn were rewarded with their prizes. 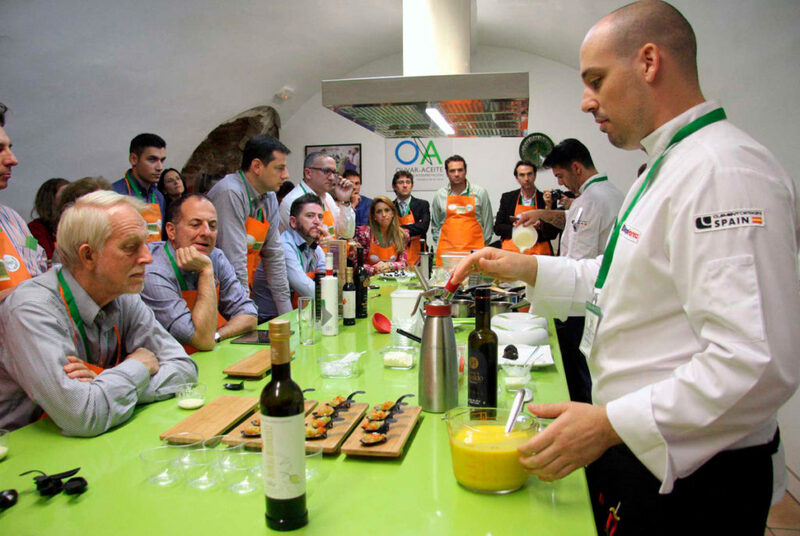 The Malaga’s CHEF, Daniel García Peinado, has been appointed Second Deputy Chairman of the Oleocanthal INTERNATIONAL SOCIETY in recognition of the efforts made in the development of a cuisine based on the rich AOVE in Oleocanthal and behavior analysis of various AOVE paired with different foods. This young Chef bases its cuisine on the effects of temperature on the food product AOVES and its consequences on the health of people who eat it. Most notably in foods that allows the transfer of Oleocanthal (a natural anti-inflammatory compound) to different types of foods, from vegetables, to meat, fish, etc. 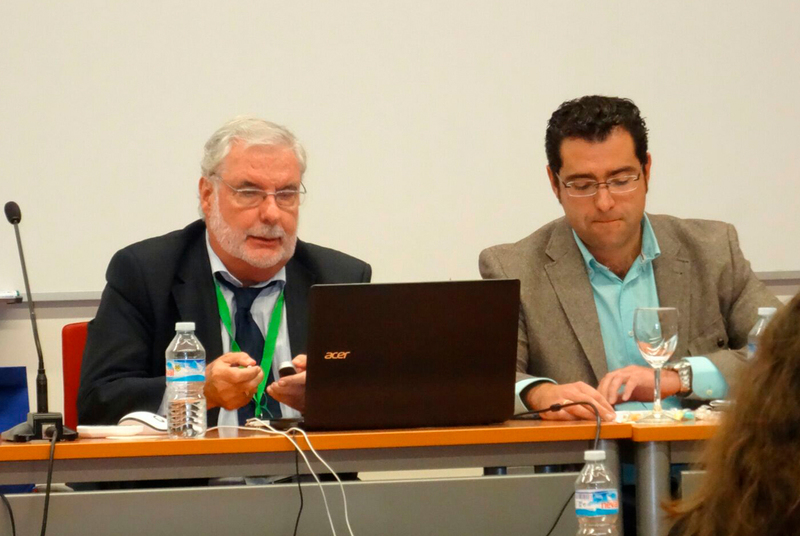 Daniel García Peinado shares chair on the Board with scientists Gary Beauchamp (Chairman of the Scientific Advisory Committee), Paul Breslin of Rutgers University and the Monell Center or Li Li Ji of the University of Minnesota. Gonzalez and Jakob Pedersen in different presentations at the Center for Interpretation of Olivar and Oil, Úbeda, Jaén . Producers Companies like PAGOS DE TORAL (Felix and Maria Jose Toral) LA SOLANA 2 (Cristobal Sanchez and Maria Luisa), NOBLEZA DEL SUR (Lola Sagra), OLEICOLA JAEN (Carmen, Remigio and Joaquín Morillo) OILS SIERRA DE CAZORLA (Juan Jose Guirado, Antonio Sánchez), Enrique Vivas CASAS DE HUALDO, MOLINO DE ZAFRA, Badajoz, (Luis Blanco), Antonia Sevilla and Sonia de la Torre (COSMETICS OLIVE TREE) and Rafael Alcala Rafael Luque, Manuel Molina, Fabio Luque and Jose Antonio Castro, CARCABUEY HEALTH VENTURES. 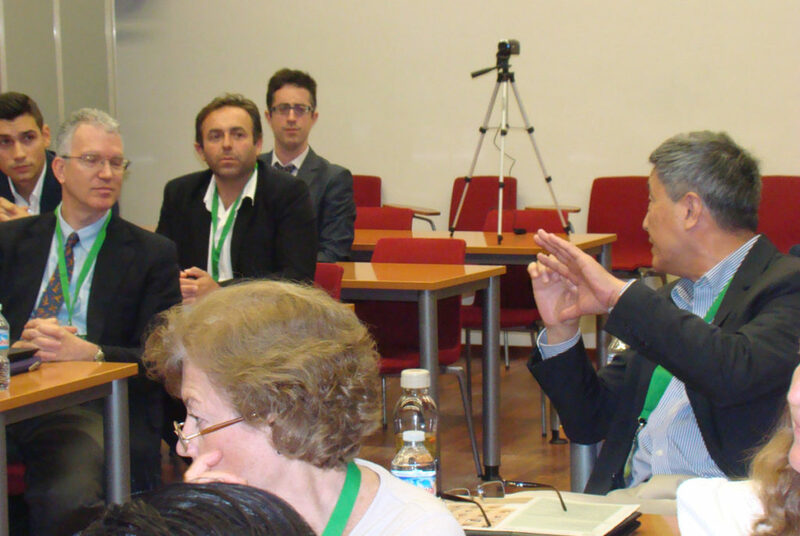 They interacted actively in the discussion that occurred with the other participants. 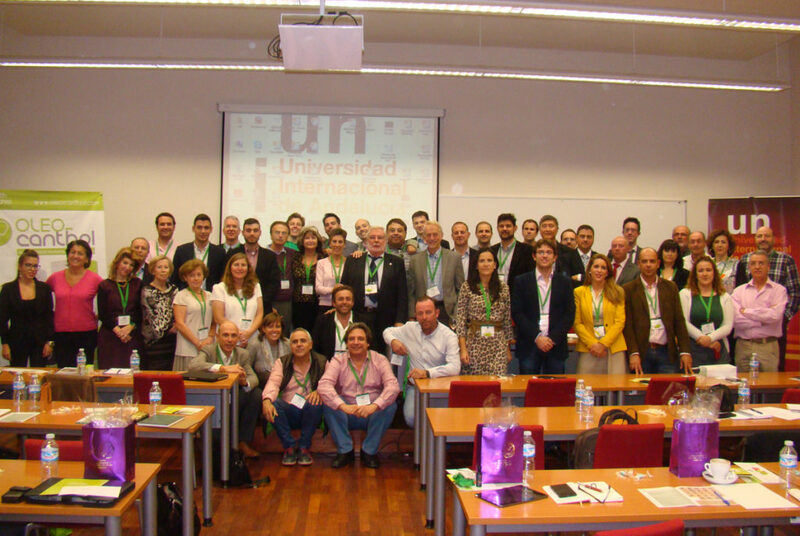 And also with representatives of Laboratories Juan Antonio TELLO (Jaén) and Perabá Alfonso and Juan Mari Ferrandiz Ferrandiz Jewelry (Ubeda). 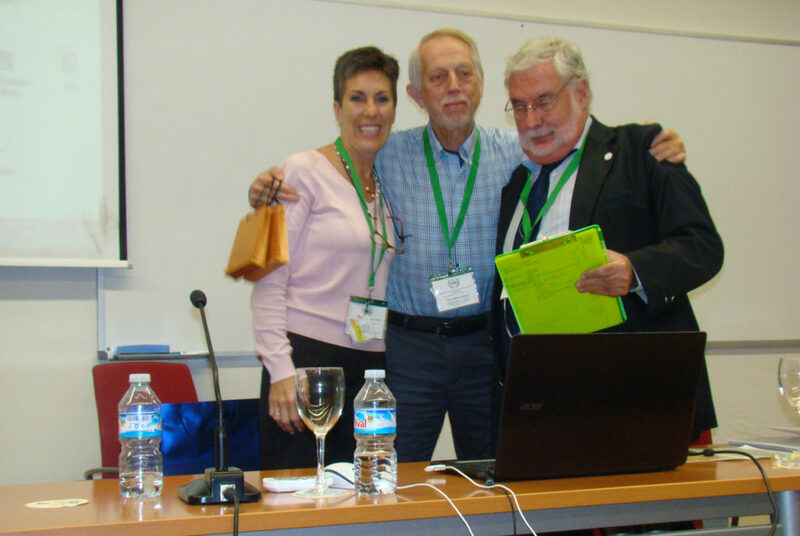 Alexix Kernell of OLIVE OIL Workshop, played an important role during the Congress facilitating the translation between English- and Spanish- speaking people. 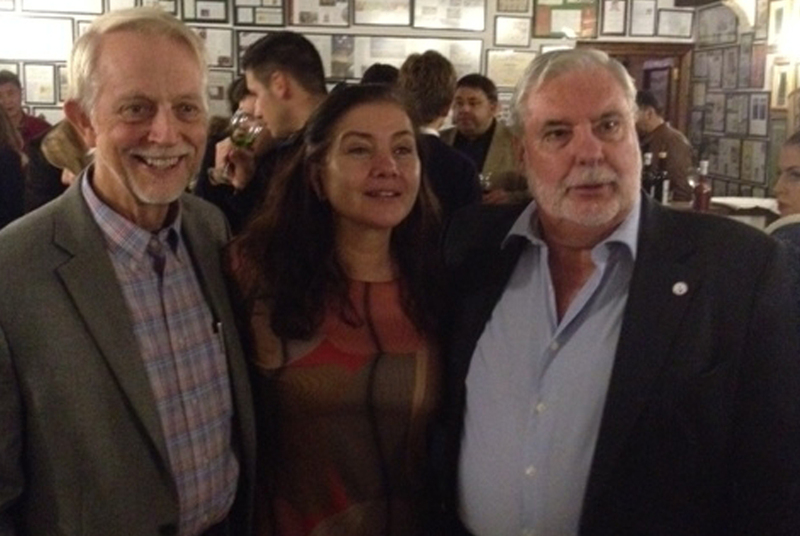 Livia Oliva IOC was also present (Madrid). And the Dr.Amin Ghanem of the International Institute of Medical Sciences (Atlanta) USA. 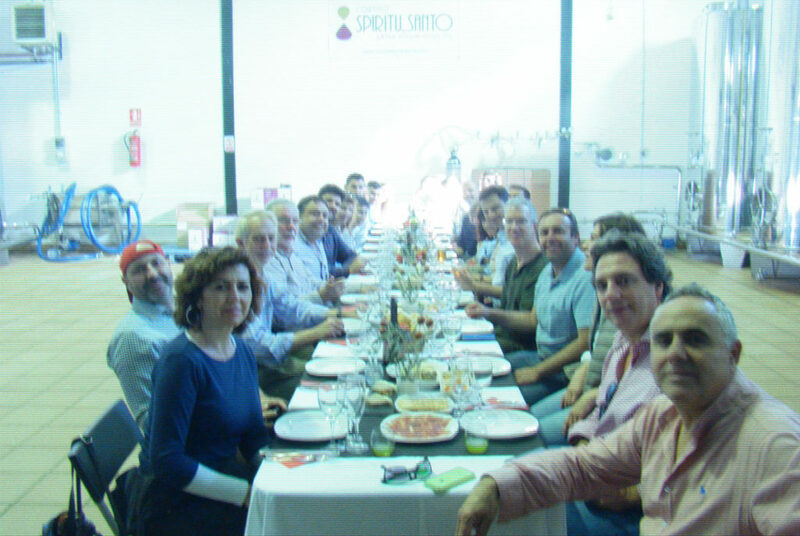 Being Oleocanthal researcher and EVOO if you have not seen a crop is not supported. It is very important to know as a crop is made, as “varear”, as collected olives and later as the EVOO is manufactured in the mill until it is stored in special tanks. CORTIJOESPIRITU SANTO, inviting Harvest Day at his farm followed by a surprisingly typical lunch at the oil mill where John gave orders to stop own engines. 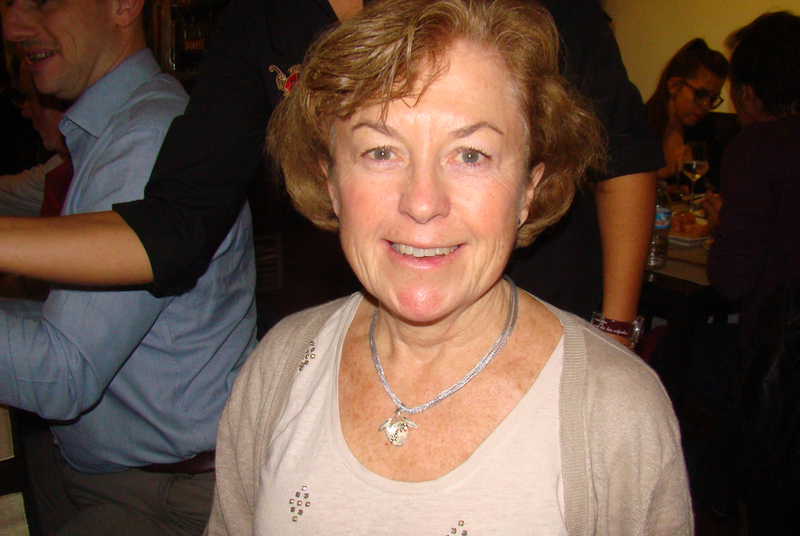 Something new for among other attendees, Paul Breslin, Mary Flynn or Roberta Holt. But first participants a turned around walk around the estate in the part where he carried out the work of collecting olives, “Vareando”olive trees and watching the machines shake «with love» as Juan Molina said, the trees for them to let its fruit. And those we could see Prof.Beauchamp in the “vireo”. Lunch surrounded by impressive EVOO tanks with a capacity of 800,000 liters was typical of harvest offered by the owners, with different salads dressed with EVOO from Cortijo, cod with peppers and orange and pork in sauce as a main dish and a yogurt surprise house, rich in Oleocanthal and «olive chocolate» washed down with good wine. 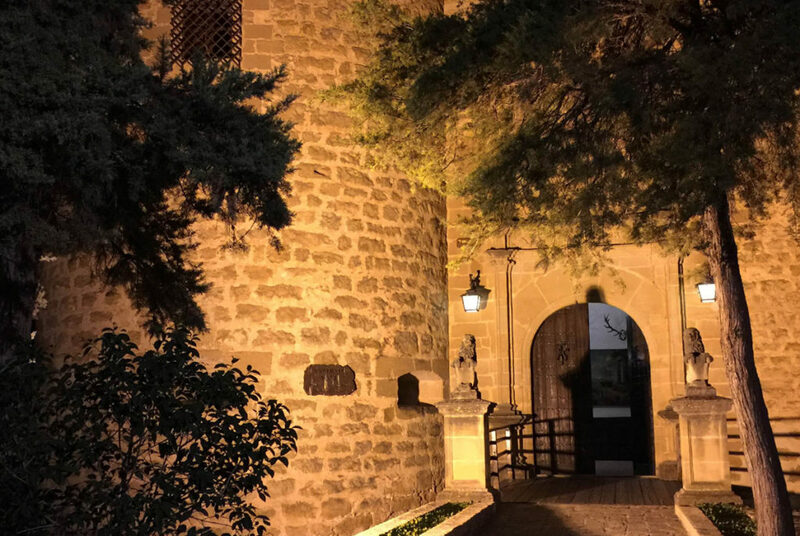 Paco and Rosa Vañó from Castillo de CANENA, invited the end of the day to their Castle in Canena, flagship brand known worldwide Canena Castle. since its inception years ago. The participants could appreciate the sunset from the terraces with stunning views of the fields of olive trees of Jaen. In addition to the splendor itself of the XV century castle owned by the family. The cocktail match with different brand EVOO Castle Canena Picual, Royal and Arbequina with meat, fish and other snacks: time for sensory organ pleasure. Andalusian Society of Oleocanthal. The menu consisted of Tapenade, Mango Gazpacho Soup with Trout caviar and Hake pil pil with creamed potatoes and finally a Greek yogurt with Oleocanthal. 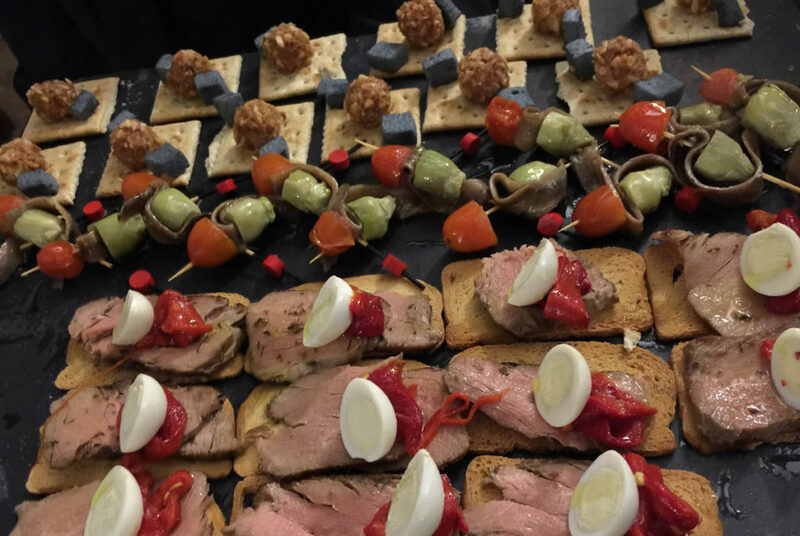 All accompanied by an organic wine from Rioja, the SANTALBA, rich in Resveratrol and Spanish Cava del Penedes. The Oleocanthal International Society was founded in Greece on the Greek island of Zakynthos last May 2015. Since its founding Greek producers have actively collaborated organization and therefore were in Ubeda-Baeza too. 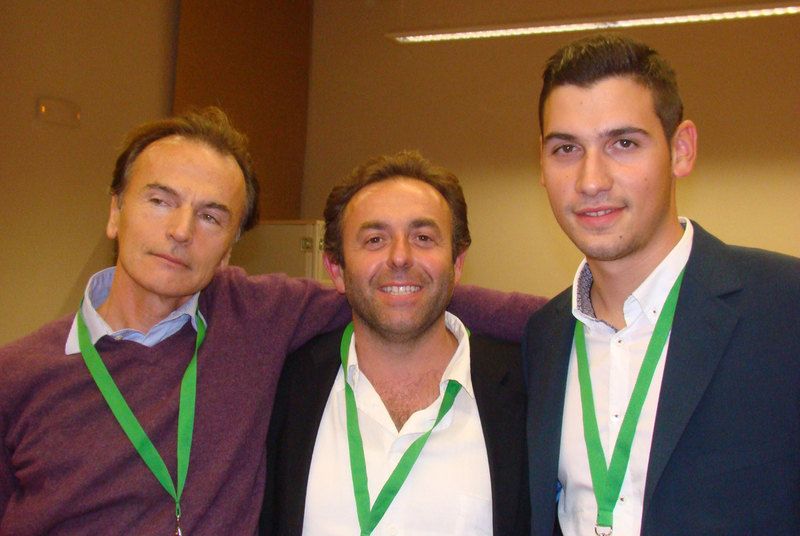 Dimitris Therianos Zakynthos ECO, and Giorgos and Spyros Dafnis The Governor (Corfu). Aris Kefaloggianis (GAEA) and Xenophon Kappas, (the Captain Vassilis Foundation), these two last sponsored the first clinic study of University of California Davis on the effects of the rich EVOO in Oleocanthal on platelet aggregation in healthy subjects. And next to them Prof. Prokopios Magiatis, vice president of the International Society and Eleni Melliou, General Secretary. Finally Athan Gadanidis, Founder Member. SAO Special thanks to t he municipalities of Baeza and Ubeda for their collaboration in this event.